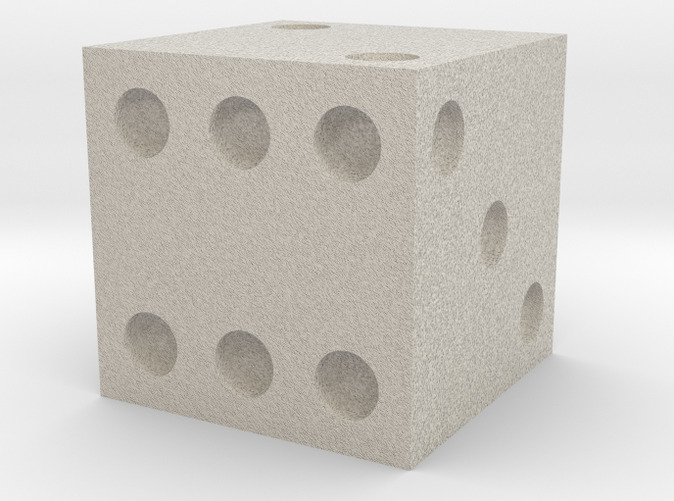 A d6 die, with indented holes to indicate the numbers for each side. Layout is identical to traditional dice. The die is a 16mm cube, so the side is the same as traditional game dice, but is larger than casino dice (14mm).